The FG Clean Wipes 6-C43 wipe removes dust, dirt, oxides, and most contaminants from electronic equipment and most surfaces. Wipes are made with strong, durable hydro-entangled polyester fabric that will not tear easily. They are handy, convenient, economical and disposable. Single use wipes are perfect for cleaning work stations, counter tops, door knobs, conference tables, telephones, surfaces and more. These wipes are perfect for cleaning plastic pipe prior to electrofusion. They are widely used by utility companies. 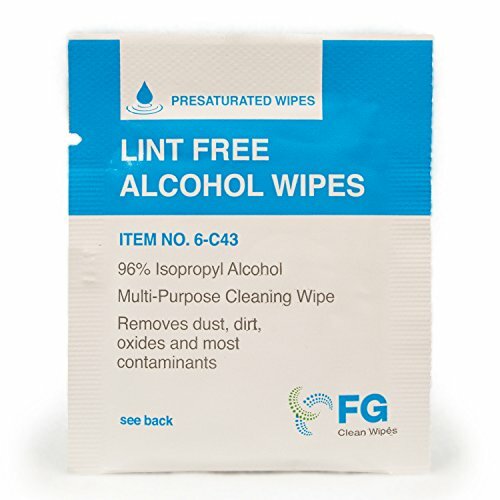 Size of each wipe is 4" x 3"
If you have any questions about this product by FG Clean Wipes, contact us by completing and submitting the form below. If you are looking for a specif part number, please include it with your message.